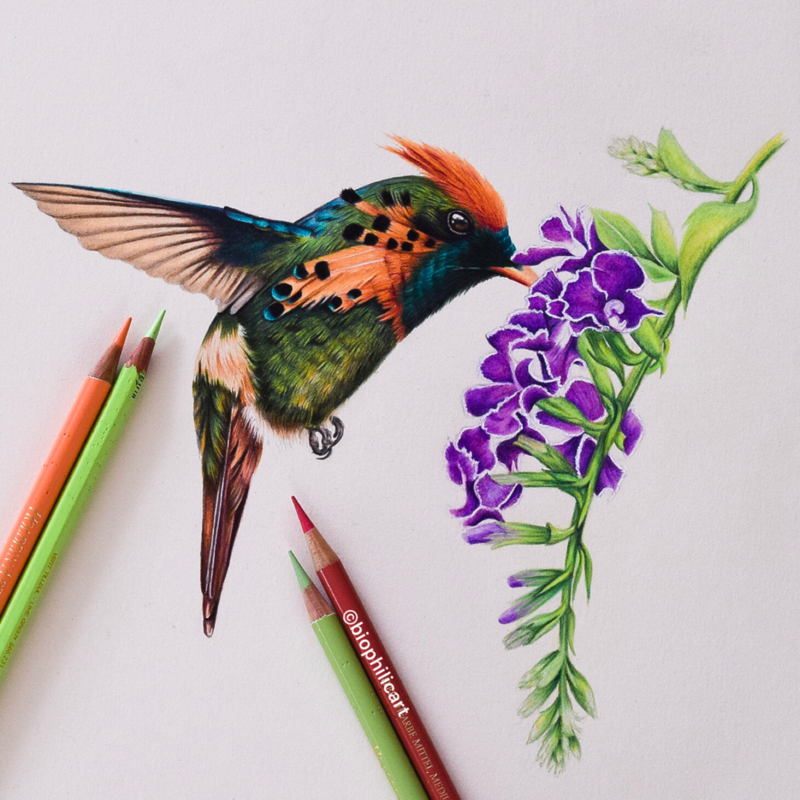 lt seems l can’t stop drawing hummingbirds at the minute! Truthfully they are my favorite subject, and l always say to draw what you love! So l am just following my own advice! 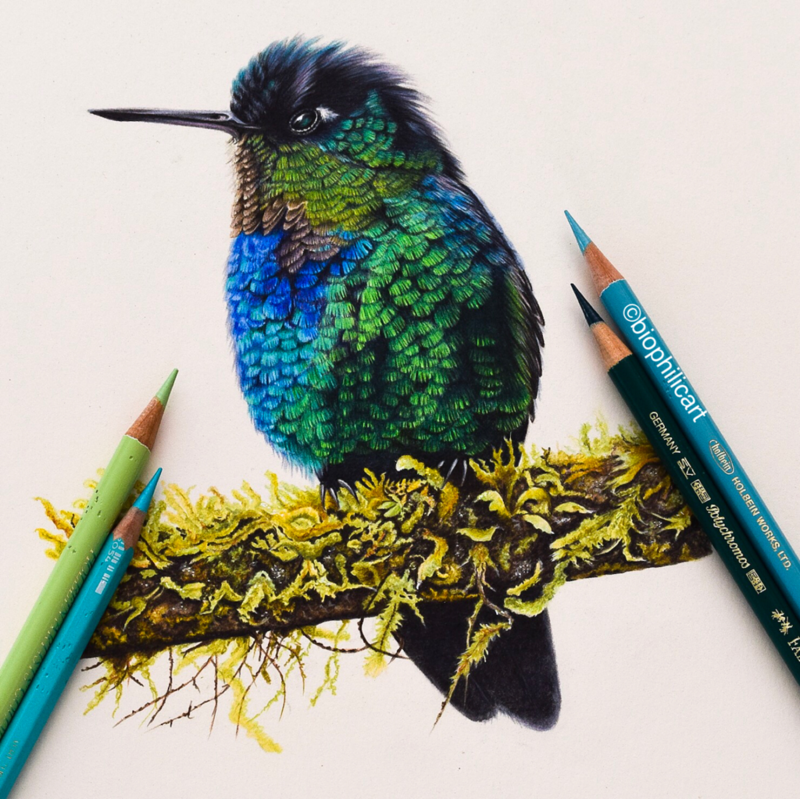 Golden Tailed Sapphire Hummingbird. The second time l have drawn one of these, but the colors are too beautiful not to draw it at every opportunity. There is a tutorial to go with this drawing on making your work look realistic, to view it click on the link below. Beautiful Fiery Throated Hummingbird. 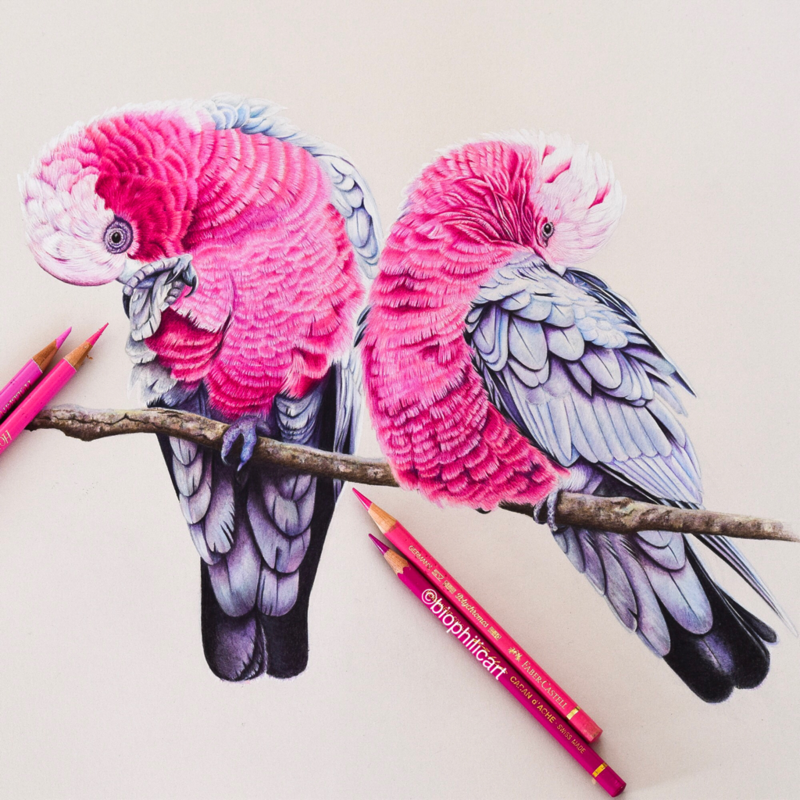 Who but a hummingbird could wear these gorgeous colors and get away with it! lt is never long before another hummingbird appears! This one had really unusual colors that really appealed to me. 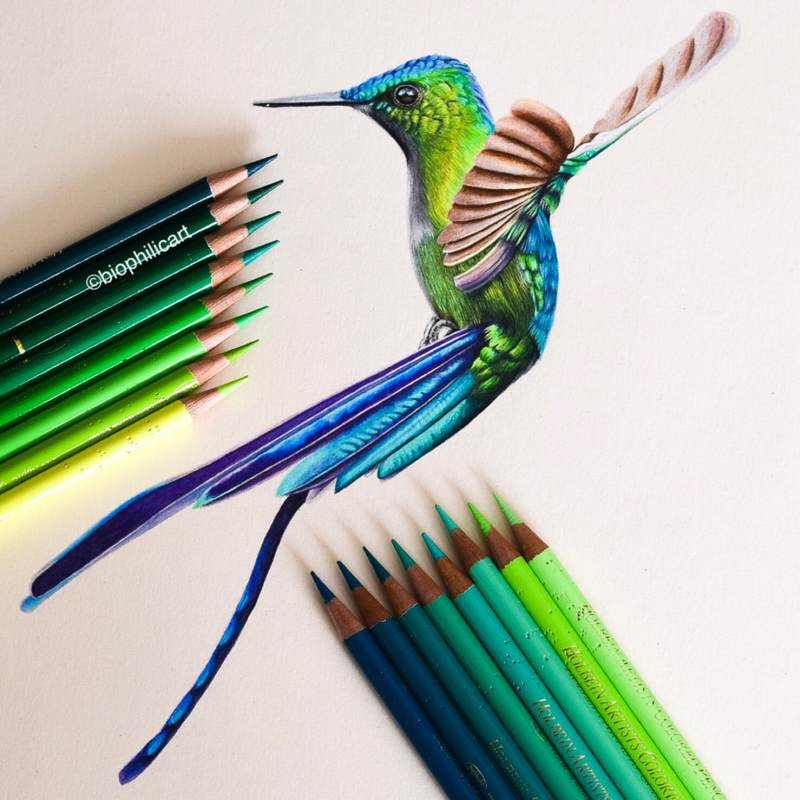 ​If you would like to see how l draw hummingbird feathers click the link below. 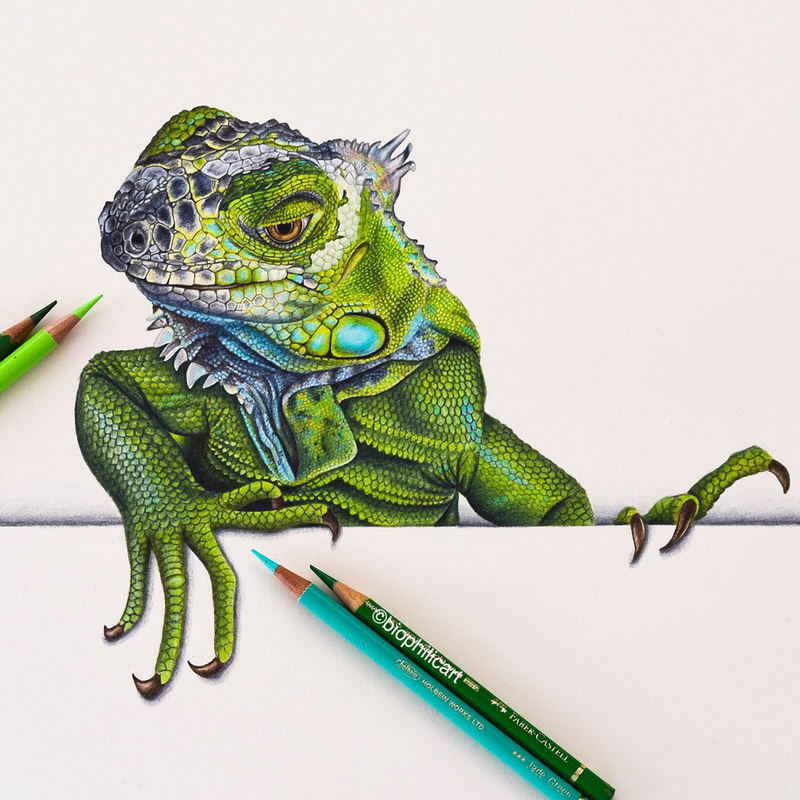 My Iguana drawing. I love lizards of all types and it was a real pleasure to draw this piece. You can see my step by step guide to drawing lizard skin by clicking the link below. he has to be one of the most amazing hummingbird photographers in the world, his account is full of beautiful photos. 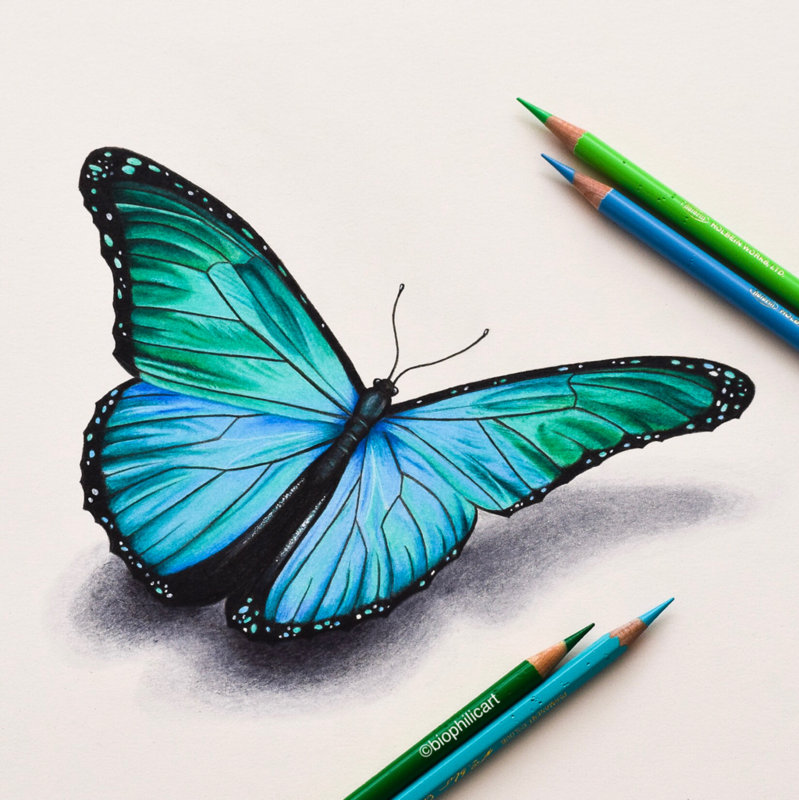 Blue Morpho Butterfly. I felt like l wanted a pair for my white Butterfly. 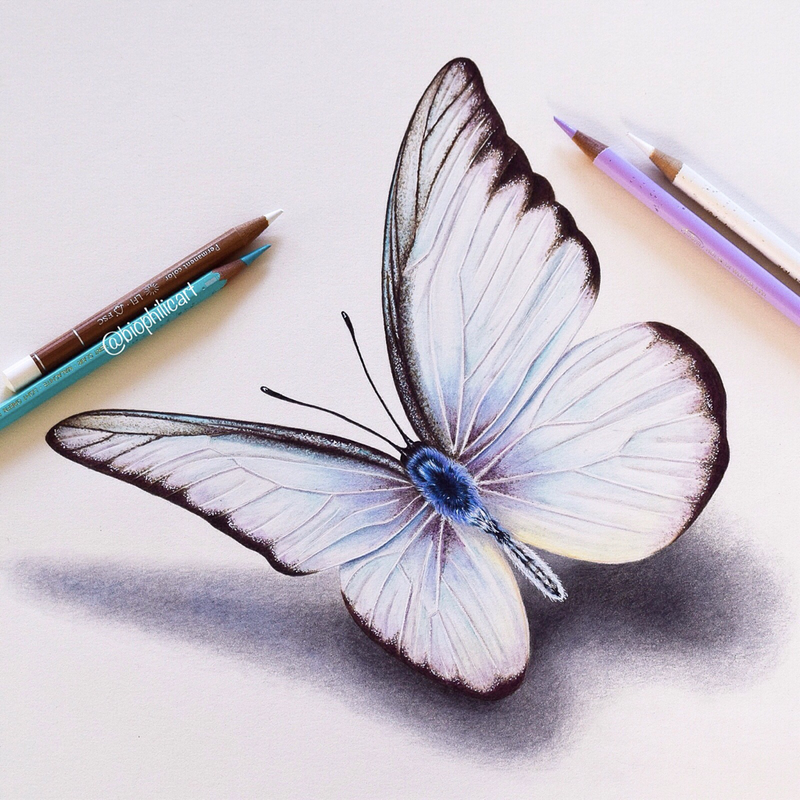 Although l have enjoyed drawing them both so much l think that there might be a whole series of butterflies coming on! Again another experimental piece for me. I struggled quite a bit before feeling happy with it. It was only when l began to add more color that l felt it started to work. Kitty in a box was a little piece l did to have a bit of a change. 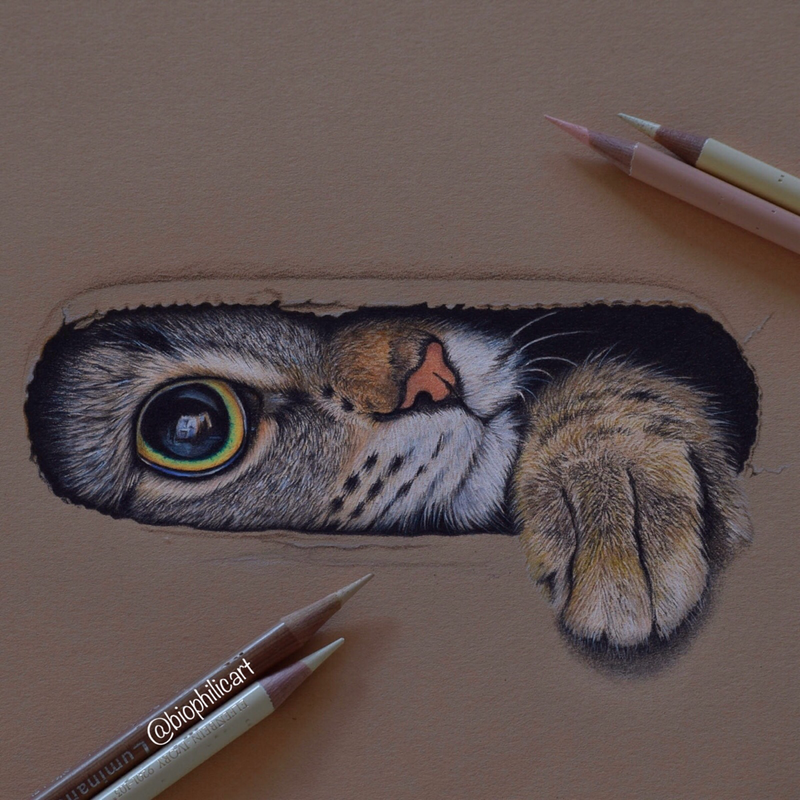 It was such fun to draw as everyone who ever owned a cat will know the expression on his little face! How could l resist an opportunity to use fluorescent pink! 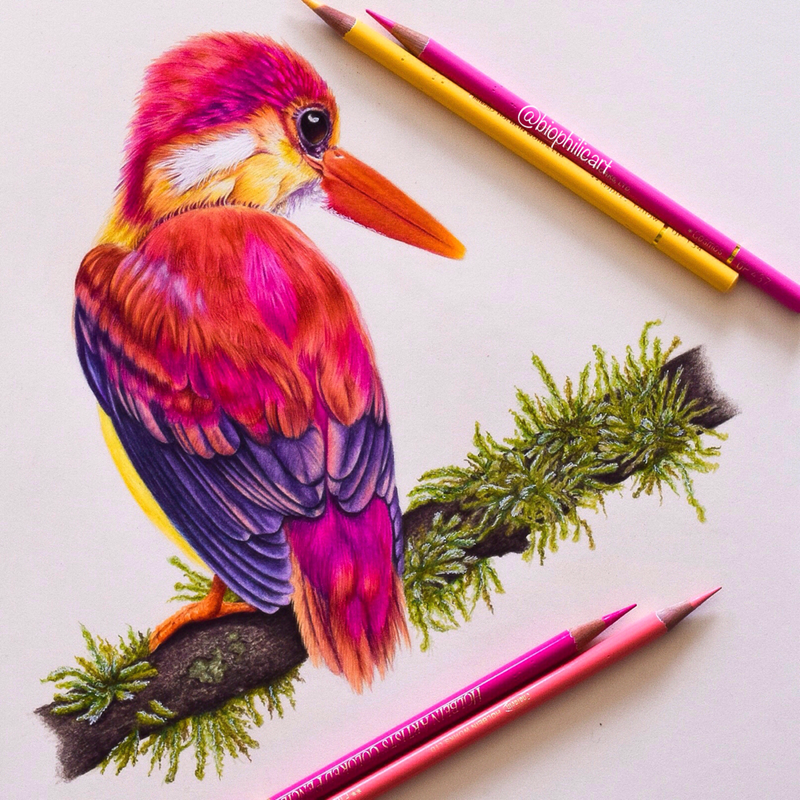 The colors on this bird were too beautiful, it is no wonder l keep drawing birds! 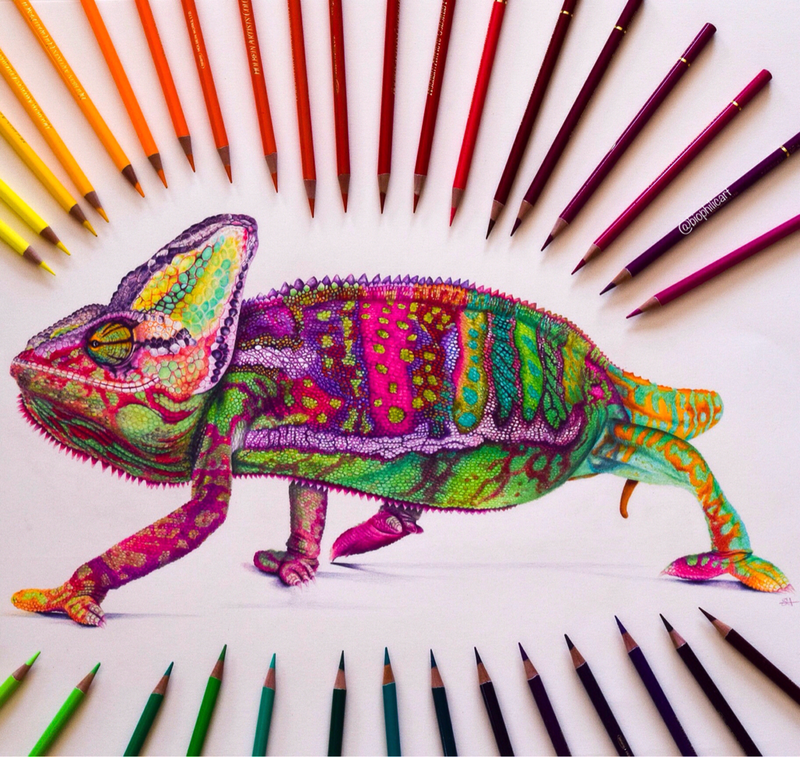 My third chameleon. l couldn't resist the gorgeous colors. l worked really big for this piece, approx 18x24 inches! So it took forever! l used a lot of my new Holbein pencils on this piece for their vibrant colours, as well as my usual Caran D'ache Luminance and Pablos and Faber Castell Polychromos. lt is on cream Stonehenge paper. The obsession continues! l am sorry but l love them! 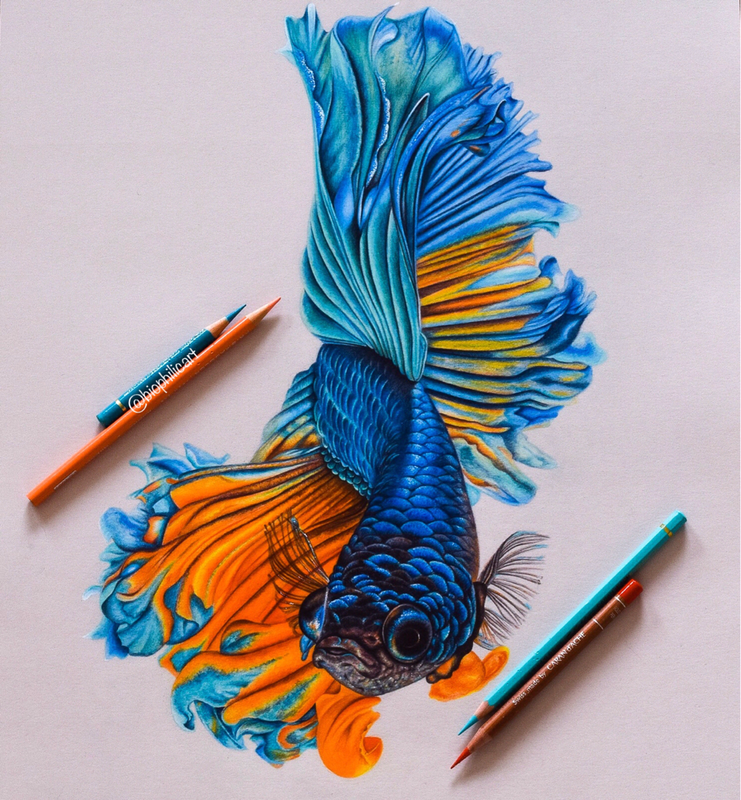 Check out the tips page for tutorials on drawing scales and fins. 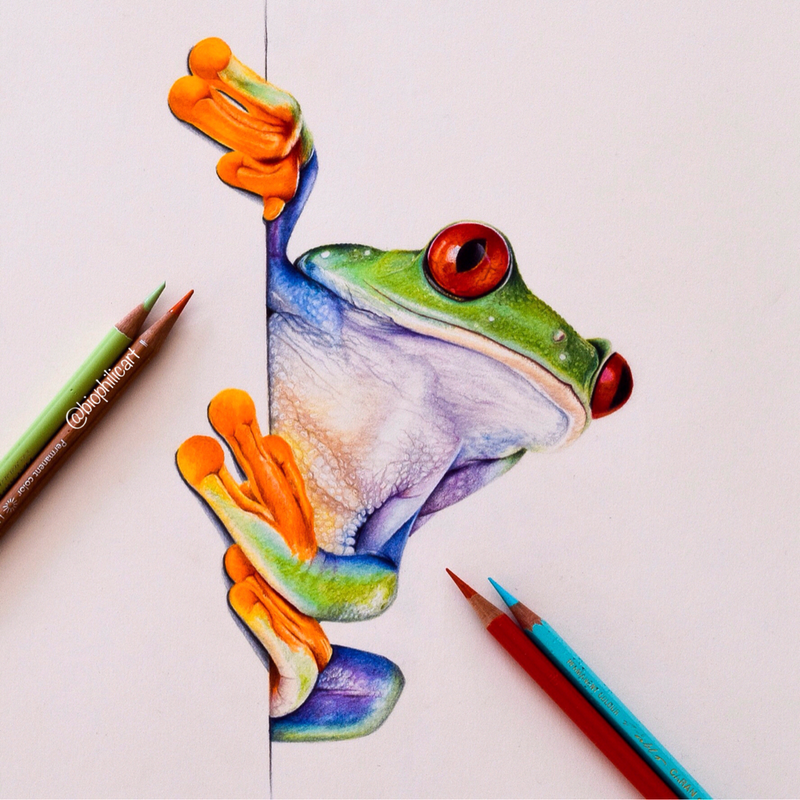 Red eyed tree frog peeering around the edge of the paper. l do draw other things sometimes! But, yes, l get obsessed at times!